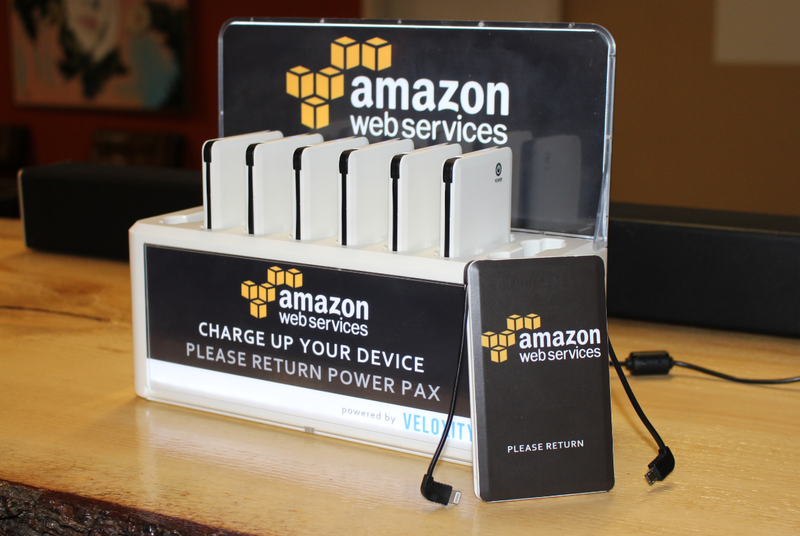 The Power Pax is a portable charging system that features 8 individual power packs and a table top charging station. Each power packs has the Micro-USB and Apple Lightning cable built in, making it easy for patrons to charge on the go. Both the charging bay and power packs can be custom branded for your business or event. Power packs have a 4,000 mah battery capacity and fast charge most smartphones and tablets, including; Samsung, Apple, LG, Sony, and more. Cell phone charging stations are available for rent or purchase and make a great amenity for any conference, trade show, event, university, hospital, and retail store. 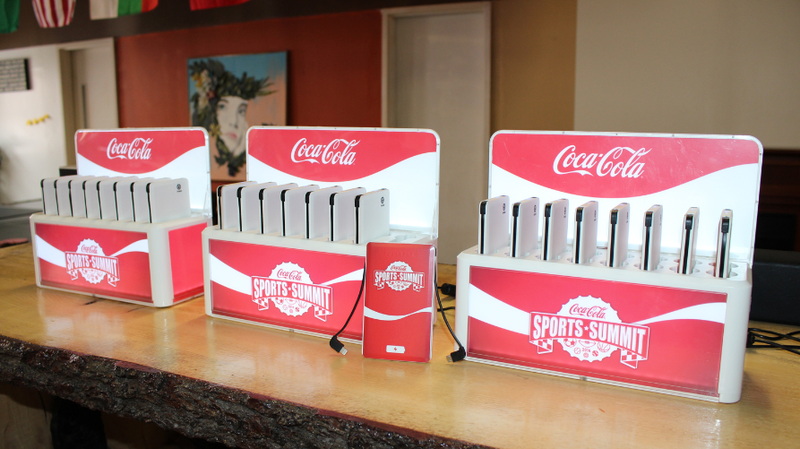 Custom branded charging stations add value to your business by increasing customer satisfaction. Providing commercial phone charging stations for your event, campus, or organization enable your brand to combat the growing problem of battery anxiety.